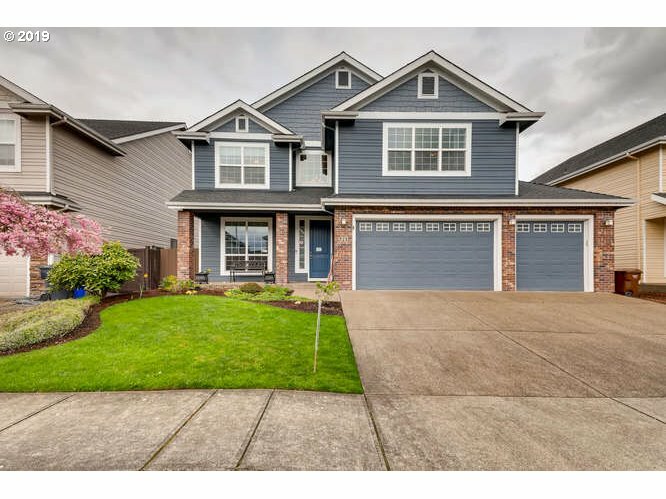 All Molalla homes currently listed for sale in Molalla as of 04/20/2019 are shown below. You can change the search criteria at any time by pressing the 'Change Search' button below. 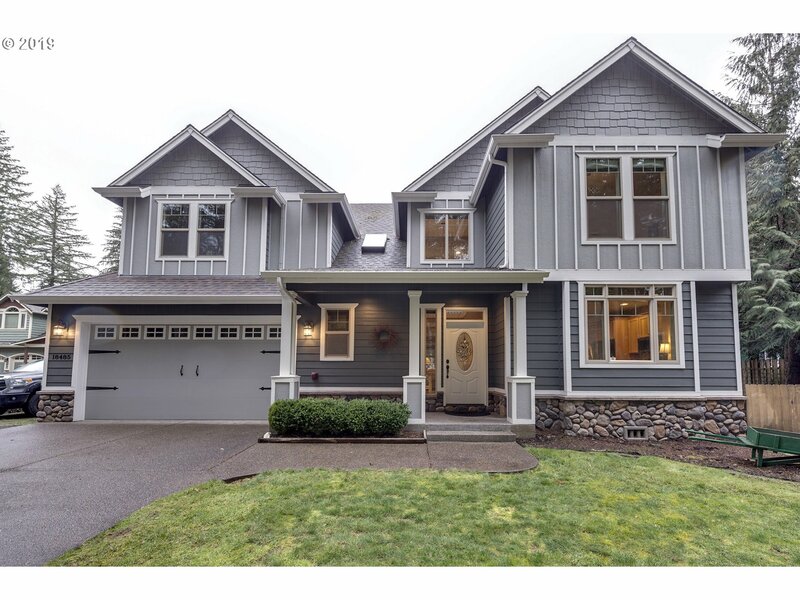 If you have any questions or you would like more information about any Molalla homes for sale or other Molalla real estate, please contact us and one of our knowledgeable Molalla REALTORS® would be pleased to assist you. 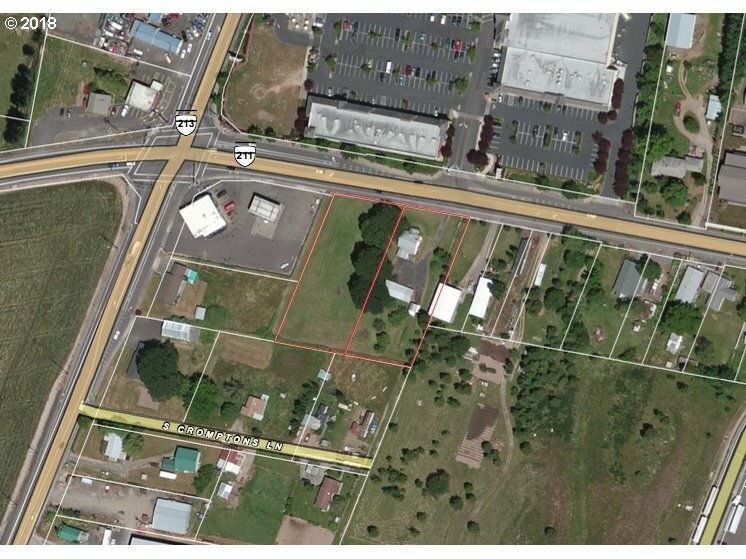 "14.55 acres of land in Molalla! 1 48x60 manufactured home 2880 Sq. Ft. with 4 beds, 3 baths and 4 out buildings. Building 1- 7650 sqft building 2- 4550 sqft, building 3- 2000 sqft, accessory 1200 sqft 30x40. Potential growth of almost everything! Check it out for yourself, you won't want to miss this!" "398.20 acre Farm. Ideal location approx. 30 mins. to Portland metro, PDX airport, & Salem. Income producing farm, with 3 bedroom, 2.5 ba. Valley views of Mt St. Helens & Mt. Hood. Build your dream home on top of the Mt. xcl. most valley crops, excellent for vineyard, xmas trees, Starting bid,Live auction starting bid $ 1,600,000.00 M.Non- distressed Live auction date 5-2-19. Buyers must register to bid.Click on video # 2 more auction"
"Hobby farm or develop. Historic 1927 English Cottage on 2.78 acres.Double Brick construction. New kitchen,bathrooms, formal dining, large living room, hardwood floors, large large master, 4 bed. 3 bath, basement. Mother in law house 800 sqft 1 bed-1 bath. pole barn. Lots of parking.Great hobby farm. Out of city limits. 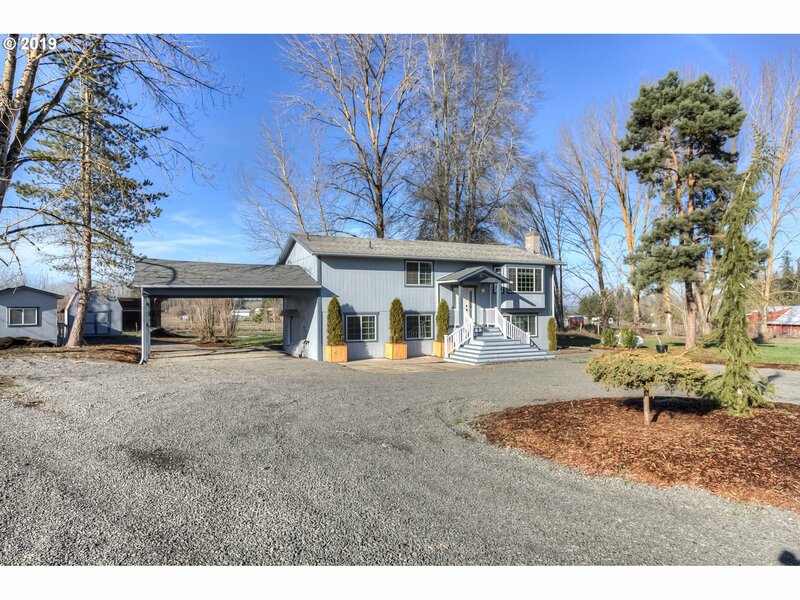 OPEN House 04/20/2019 12 PM TO 3 PM"
"An amazing opportunity to own a 2016 custom built home on 20 Plus Acres in a convenient & ultra private location. This home features quality finishes, an open floor plan & was designed to maximize the scenic views. The multiple outbuildings are perfect for the hobby farmer with a 3 stall barn with a pasture for turn outs & an idyllic seasonal pond. The huge pole barn/shop has a loft & 3 bays & there's a 2 stall implement barn!" "Prime business location with many opportunities, across from main retail establishments, on a busy highway. Zoned C2: Ready for your business idea. Development package available. Buyer to perform their own due diligence on their intended use. Selling as is." "Private acreage property less than 5 minutes from town. Home sits at the back of the property atop a lush, flat, sprinklered lawn with expansive, territorial views. Two master suites-One on main, one upper. Open floor plan flows out to covered patio. 3 Outbuildings: Greenhouse, 48x48 4 stall Barn/Shop w/power/heat/hayloft. Room for livestock. 16ac fenced w/high tencil. 12ac Marketable timber.Buyer to do their own due diligence." "Luxury Living on the River! Gourmet kitchen: custom cabinets, granite, large 5 burner gas cooktop island, built in fridge, convection/micro & oven, pantry & breakfast nook. Great room with views of river has wood fireplace. Formal dining, den/office with gas fireplace, guest/sitting room on main with bathroom. Master suite, tiled shower with dual heads, jetted tub & walk-in. 4BR/4BA/Bonus w/ wet bar. Click Vtour for brochure and videos!" "Wonderful private country setting on 6.5 acres. Two legal homes on one property. Main house has three bedrooms with optional 4th. Two bathrooms, one on each level. Shop is 24x32 w/24x20 carport, 48'x200' barn, outbuildings and fenced in seven pastures. Second house is a manufactured two bedroom, one bath, 864'. Places like this are hard to find. Price has been reduced to sell!" "Private Oasis on the Molalla River with views out every window. Large 2416 sqft home. 3 Bedroom plus office/den. Huge bonus room upstairs. Master & 2nd bdrm have sliding doors out to the balcony w/expansive river views. Liv/Dining room share a double sided f/p. Kitchen is open to the dining area with slider out to the patio. 24x20 Pole barn w/power,and RV Cover. Paved driveway,landscaped w/sprinklers. Great commute location!" "Remodeled five bedroom, three and a half bath home on almost 7 acres! New paint, flooring, siding, cabinets, appliances and much more. Basement has been finished. Room to build shop/barn. Bonus room on lower level. Great opportunity to own. Call today to find out more!" "4.2 acres of solitude & a view!3544 sq.ft. tri-level has room inside & out for that special get together. Start at the paved circular drive & enjoy the view as you walk to the elegant entryway New floor coverings at entry & through out home add that newer feel to the home. Enjoy the large kitchen & open living & dining rooms, den or the bonus room downstairs. Property with barn,shop,pasture & even a creek." "Private paved drive, surrounded by nature, well-maintained home, Granite kitchen, Oak cab, Breakfast Bar, Kitchen Appliances incl, Ht Pmp, Central air, Built-in vacuum, Hard wd floor in 3 br & bonus Rm, Jacuzzi tub main bth, New Ext Paint, Sprinklers, Security system, Shop 24x28, Over SZ Garage w Storage, Just outside Urban Growth Boundary.Listing Broker related to seller. Please enter in the side door by garage and remove shoes,"
"Country Setting, Dual Living Potential with ADU in place. This home on 3.51 acres, 1/2 bt Silverton and Molalla. has so much to offer. 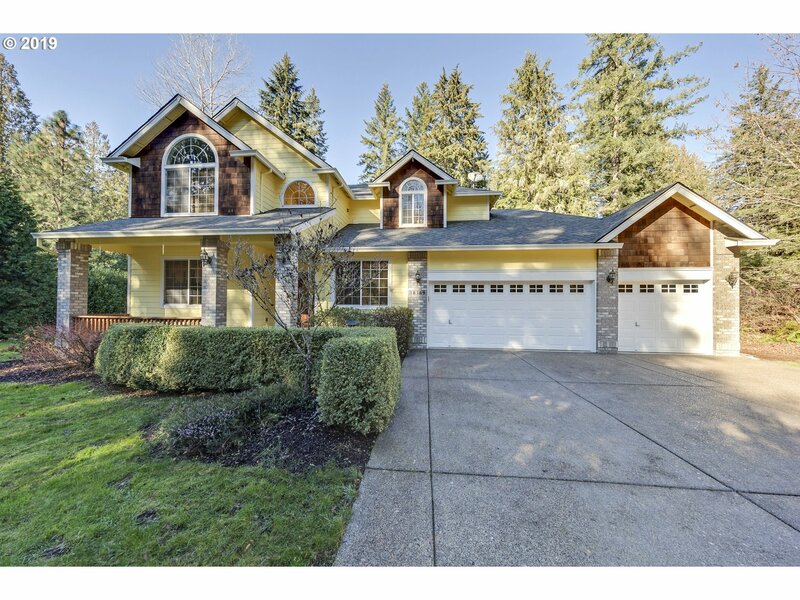 Beautifully updated with 4 bedrooms, 3 bathrooms with master on the main floor. A wow Shower in Master Bath. Perfect little hobby farm set up. Room to Garden, raise livestock, pasture horses. Enjoy beautiful sunrises and sunsets!" "Live in your own secluded river oasis! Home has a lg fenced yard complete w/ zip line, expansive covered deck, wooded area and river access. Brand new SS appliances, new interior & exterior paint, new carpet w/ memory foam pad, new 17KW Honeywell generator, new 20x10 Tuff shed. Meticulously maintained, an open floor plan. Kitchen features granite counters, hickory cabinets, pantry & real hardwoods. Bonus rm & beautiful master suite." "Custom built home with 130 feet of river frontage! Stunning one acre property! 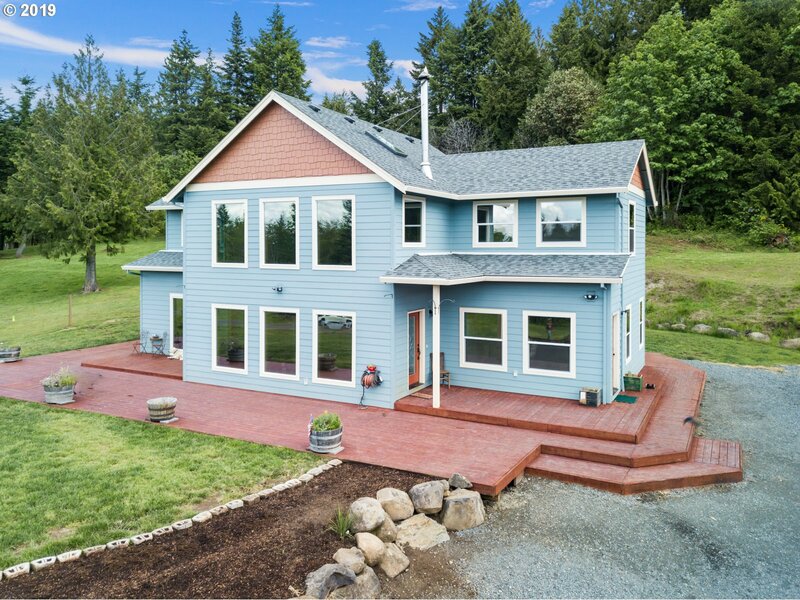 Upgrades throughout including a gourmet kitchen with center island & large pantry, breakfast nook with access to patio, spacious master suite with 16'x8' cedar deck to enjoy nature & the peaceful sounds of the Molalla River.4 bedrooms plus office/den on the main floor which could be a 5th bedroom. Attached 5-Car Garage, Heat Pump & Artesian Well Water." "Rare opportunity for peaceful country living! Large spacious rooms with charming wrap around covered porch. Mix of trees & level spaces for shop, animals, garden and your toys. Wash rack for your many animal needs along with 3 stall barn." "Great one level home on 3.61 useable acres. Wonderful newer kitchen and family room addition with a spacious design. Great covered patio for outdoor entertaining, large 24x36 shop with 220V power and office area. Home is conveniently located but also offers the privacy of the country! Molalla address with Silverton Schools. Appointment only." 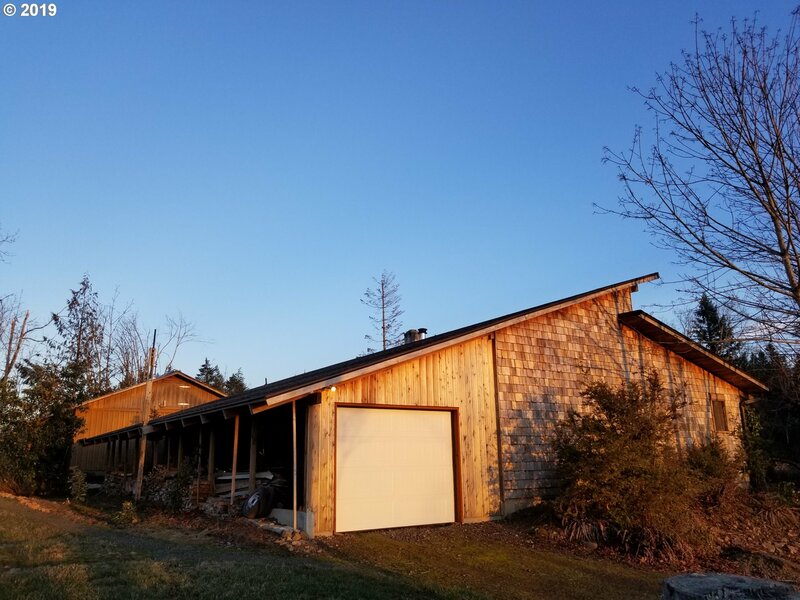 "Come out to the Country and leave the traffic behind.The view is fantastic and the sunsets are better.Wind up the scenic driveway through these 20 acres to a secluded getaway.Unique open concept home has few bearing walls so reconfigure as needed. Lots of windows & a fireplace to keep You cozy and warm. Separate 25x32 Insulated & finished Workshop with electrical & a 20x12 outbuilding with bathroom/shower complete this forest gem." 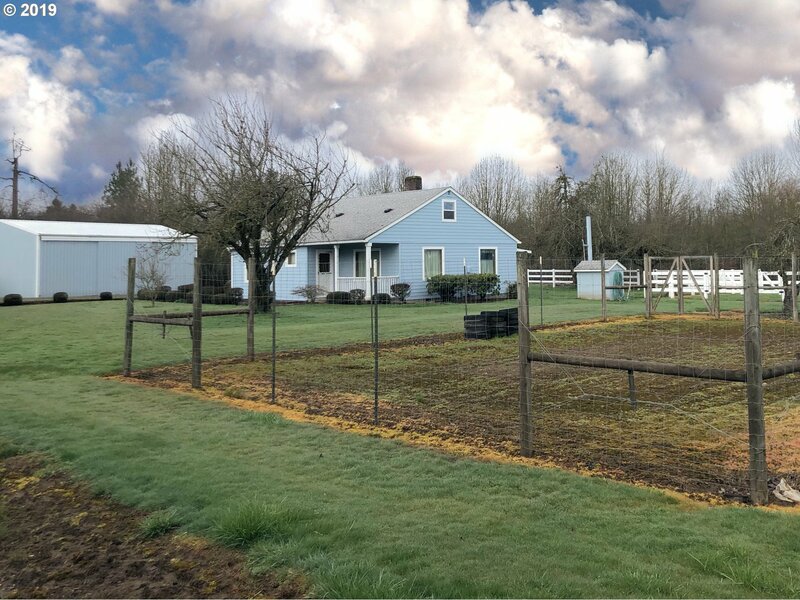 "Located on 1 acre sits this nicely kept 4 bedroom home conveniently located just north of Molalla. The property includes a 24X36 shop, detached 1 car garage, fenced garden area and much more. If you are seeking that small acreage property with a shop, pasture, garden and plenty of room for your toys, give this one a look today!" "New energy efficient homes in Molalla. This 2-level home is ultra energy efficient, offers an open floor plan, with designer finishes used throughout. The kitchen includes stunning cabinetry with rich slab granite countertops and SST appliances. The backyard includes a slab concrete patio. Get $10,000 in builder bucks towards closing costs and/or prepaids with a new full price offer." "Great family home .Backs to greenspace.Cherry hardwood floors.9ft.ceilings main floor .Newer carpet.Granite slab counters,Newer stainlees app.with gas range in kitchen.Family room has gas fireplace.Large great room.Nicely landscaped with sprinklers.Fenced with rear retaining wall.Central A/C." 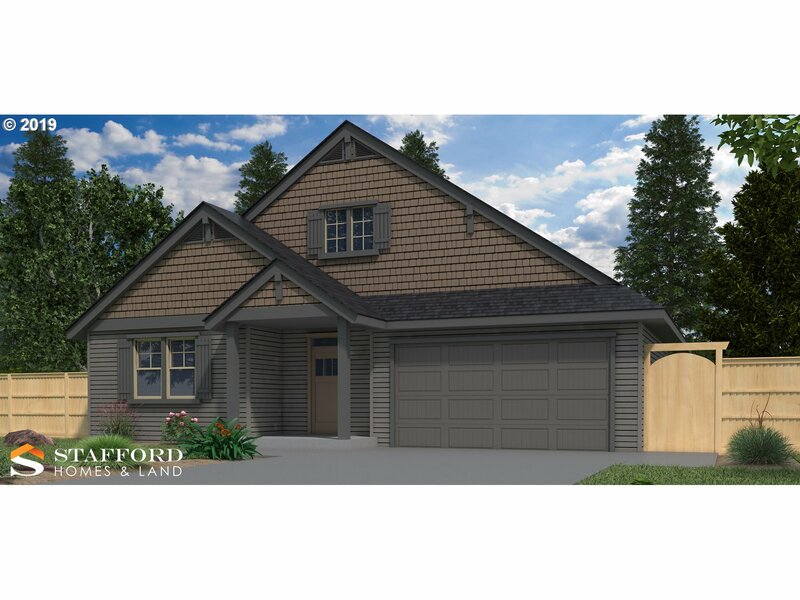 "Quality, new homes in Molalla. Amazing open floor plan with soaring ceilings in family room, cozy fireplace and plenty of light. Large office with french doors, formal dining, granite or quartz kitchen counters, ss appliances. Front yard is landscaped with sprinklers. Very energy efficient and solar ready." "Energy efficient new construction homes in Molalla. This 1-level home is ultra energy efficient with an open floor plan and designer finishes used throughout. Gourmet kitchen offers stunning cabinetry with rich slab granite countertops and SST appliances. Fully fenced rear yard with a concrete slab patio." 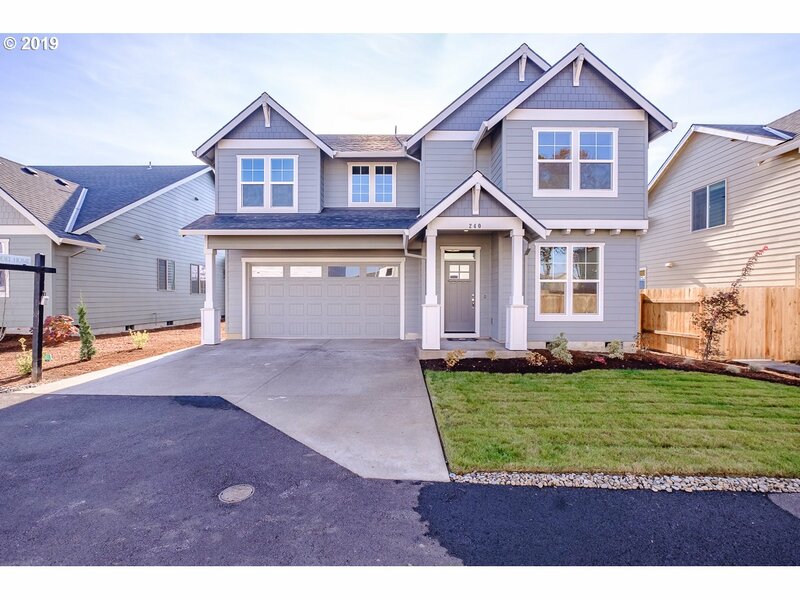 "Quality, new homes in Molalla. Amazing open floorplan with soaring ceilings in formal living room/formal dining room combo, cozy fireplace and plenty of light. Kitchen is open to family room and has granite or quartz counters, ss appliances, eating nook and a large pantry. Convenient bedroom and full bath downstairs. Front yard is landscaped with sprinklers. Home comes fully fenced with a gate. Very energy efficient and solar ready"